Why choose ICICI Bank Credit Cards? Being one of the largest private sector lender in the country, ICICI has a great assortment of credit cards that serve all needs of a customer. ICICI was also the first in the market to launch contactless credit cards, besides standing up to what it promises with its exclusive features, benefits, rewards and cashbacks. Coral Card: The Coral Card is high on rewards and benefits. It comes with annual bonus points and 50% more rewards on online spends. Coral Card is powered by most exclusive lifestyle privileges and enjoys the instant approval facility. Platinum Chip Credit Card: The ICICI Bank Platinum Chip Credit Card offers you great value as a no-frills, and easy to manage card. The cardoffers generous rewards , redeemable for exciting gifts and vouchers. Besides this, you also get to save through fuel surcharge waiver and a minimum of 15% savings on dining. Income: The minimum income of the applicant should be Rs. 12,000 for salaried employees and annual income after tax deduction should be Rs. 250,000 for self employed. Usually, ICICI Bank gives a credit limit of 2 to 3 times of the monthly income you earn. For salaried individuals, it is based on the net monthly salary and in case of self-employed individuals, it is based on the income declared in IT return filed for the last financial year. In case you have an existing credit card from ICICI Bank or from any other bank, then ICICI Bank will not check your income and your credit card eligibility will be checked based on existing credit card's transaction history. 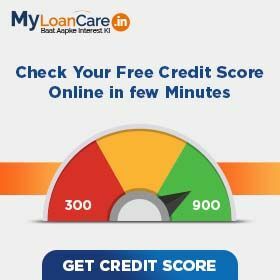 CIBIL Score: Most banks, including ICICI Bank prefer a credit score of 700 and above before sanctioning a credit card for you. A lower score reduces your chance of getting credit card approval. A high credit score would allow you to get an easy approval on credit card. If you already have a credit card then ICICI Bank checks your existing credit card's transaction and payment history to ensure that you are capable to make repayments on time. Existing Relationship with ICICI Bank: If you already have an account with ICICI Bank, you have a higher chance of getting a credit card. ICICI Bank comes with special credit card schemes for its existing bank holders which would mean higher credit limit, waiver or discount on joining fees and annual fees and special promotional offers as a joining pack. In addition, if you have been maintaining a good balance in your account consistently over the , past few years, you are more likely to secure a higher credit limit on your card. Age: Bank has different credit cards targeted at different age groups and income groups of borrowers. You can apply for a credit card from ICICI Bank if you are at least 21 years old upto maximum age group of 58 years. However, the minimum age to get a credit card from ICICI Bank varies by various schemes depending on the card your choose to apply for. The type of documents required differ for new and existing card holders. Existing credit card holders are those who already own a credit card either from ICICI Bank or from any other bank. In this case, income documents are not required. How will I know my ICICI Credit Card bill? Step 3: Click on the credit card number to view and download the credit card bill. Which is the best ICICI Credit Card? ICICI credit card comes with a range of offers and benefits for its customers. However, the best ICICI Credit Cards are Instant Platinum Card and Platinum Chip Credit Card with NIL joining fee and no annual fees for lifetime. These cards also come with many attractive offers and schemes for the users with attractive cashbacks and discounts making them one of the most sought-after cards in India. What is the eligibility of taking ICICI Credit Card? ICICI Bank will check if a customer is eligible or not as per the bank’s pre-defined eligibility criteria before giving the credit card. Net take home salary is the basic eligibility criteria for getting ICICI credit card, salaried applicants must have a minimum monthly salary of Rs. 20,000, while self-employed applicants should have a minimum annual income of Rs. 3 lakhs. How can I be updated on the latest offers and privileges? You may update your registered email ID and your contact details on our website myloancare.in to receive updates on latest offers and privileges offered on ICICI Bank Credit Card within no time. 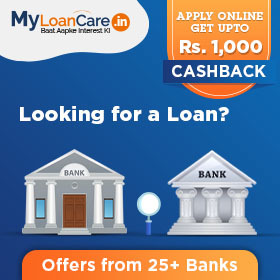 MyLoanCare.in also sends alerts to its customers on new offers and credit cards schemes. ICICI Bank Credit Cards Experience is a Rewards Program offered by ICICI Bank. This programme is exclusively designed for selected ICICI Bank Credit Card members to ensure each moment of their life becomes a memorable experience for them. This program gives the option to earn reward points on entertainment, assurance and travel services.